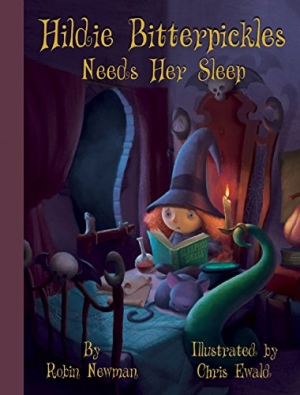 In Hildie Bitterpickles Needs Her Sleep, Hildie cannot sleep because of the all the noise her fairy-tale neighbors make. Hilde gets very angry, and she even tries to move, but she cannot find a quiet home. With honesty, creativity, and some help from all of her neighbors, Hildie is able to make everyone’s nights more restful. Colorful, amusing illustrations highlight Hildie’s woes, adding humor to each page. Children ages four to eight will enjoy revisiting some favorite fairy tale characters in this entertaining story.